Moshava Ba’ir is centrally located in the beautiful TanenbaumCHAT campus, at 200 Wilmington Avenue in Toronto. Transportation is offered: depot bussing is $45 per camper per week, and door-to-door bussing is $80 per camper per week. Moshava Ba’ir is for children entering nursery (age 4) through Grade 6. Our program is carefully and thoughtfully developed to be age and developmentally appropriate for these ages across the board, from swim and sports, to chinuch and arts. 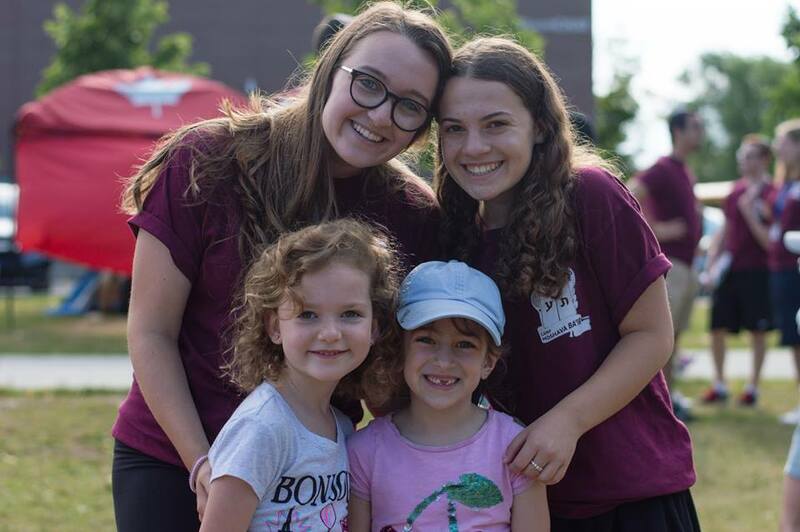 Campers at Moshava Ba'ir enjoy a rich and well-rounded experience, which each day will include daily instructional and free swim, sports, specialties (music, dance, art, drama, cooking, nature and more), and our unique experiential education program. We partner with Yachad, promoting inclusion for those with special needs. Everyone at Moshava Ba’ir will have the opportunity to socialize, play, sing and dance with the Yachad participants. Click here for details about the Yachad vocational program. Our bunks range in size from 10-12 campers each, with at least two madrichim per bunk. Each grade is a separate Eidah (division) of 2-3 bunks, with its own experienced and capable Rosh Eidah (Division Head). This camp structure allows each child to feel at home and cared for, while enjoying the excitement of being part of a big program. MBTots and Eidah Aleph are co-ed, while Eidah Bet and Eidah Gimmel are separate gender. Moshava Ba’ir is a nut-sensitive and meat-free camp. The food that we serve contains no trace of peanuts, and our policy is that any food sent along with your children to camp contain no nuts or trace of nuts. If food that contains nuts is brought by a child into camp, we will replace it with a nut-free equivalent. We provide one snack a day, and Kosher hot lunches are available to pre-order at www.alphabetkids.ca. At Moshava Ba’ir, we believe deeply in the unique Bnei Akiva culture of camping as a learning and growing experience. One important manifestation of this is the camp’s educational theme. Throughout the summer, our endlessly creative staff employ art, music, dance, and drama to re-create and re-experience powerful moments and places of our history. 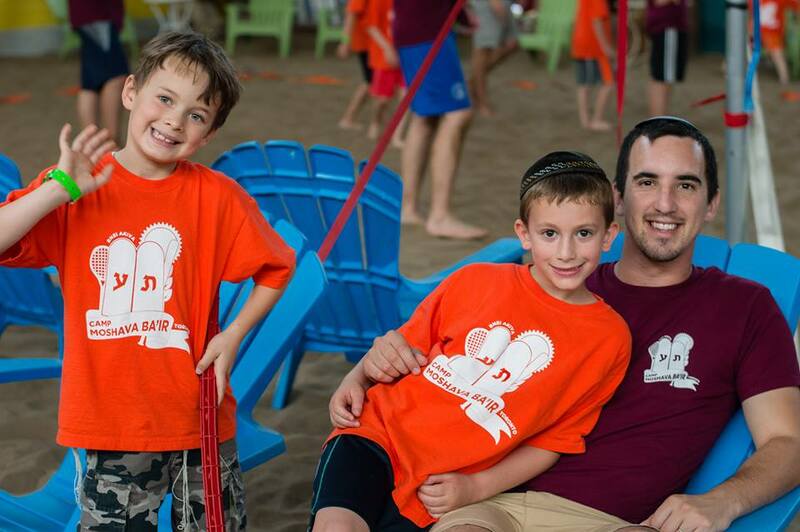 We have a daily "chinuch" activity that campers love, facilitated by an exciting and dynamic staff of young educators. We offer both instructional and free swim. This summer, we are using the Swim for Life program created by the Lifesaving Society. Swim for Life is a comprehensive swim instruction program that focuses on the acquisition and development of fundamental swim strokes and skills for learners of all ages and abilities. Swim for Life is accessible, flexible, success-oriented and fun. Instructors ensure swimmers get lots of in-water practice every lesson. The program incorporates valuable water safety education that provides information and experiences that helps participants make safe choices when in, on and around water and ice.. The program takes place at Northview Heights, around the corner from the campsite, in a 25-metre TDSB pool. This summer we will be offering a towel service to all campers. The towel service provides campers with a clean towel for swim (including free-swim and splash pad on Thursdays). The cost of the towel service is 90 cents per towel. To sign up for this, click here to go to your login page. Each session, every Eidah takes one major trip, and we also have one exciting event on-campus. Examples of trips include amusement parks, berry-picking, laser tag and Skyzone. On-campus events include carnivals, petting zoos, and ropes courses. Our older campers have the opportunity to go on day and overnight trips to Camp Moshava Ennismore. We've introduced an 8th week of camp with a different trip each day. Contact us for details. Our number one priority at Moshava Ba’ir is always the safety and security of your children. We are staffed by full time security guards. In addition to the experienced camp professionals running the program, we employ a full time nurse as camp health director for the summer. We recommend you label your child's belongings. If you use Lovable Labels, 20% of your order will support Moshava Ba'ir. Click here to order online, or call 1866-327-5683 or email info@lovablelabels.ca.